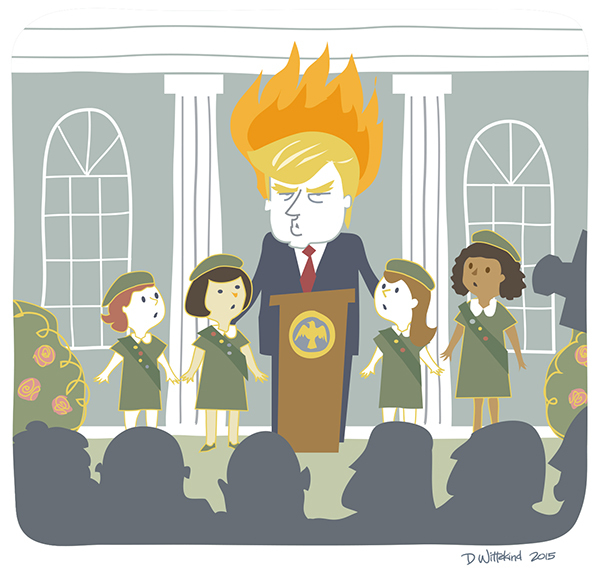 Recently, I had the great opportunity to create illustrations for "A Terrifying Look at Our Eventual Trump Presidency" a satirical article written by Bruce Handy mocking the one and only Donald Trump in his bid for the White House. See more images and the original article here. The deadline was pretty tight, but there were minimal revisions and lots of leeway for putting my own spin on the captions. Many thanks to Associate Editor Alexandra Beggs and the team at Vanity Fair for bringing me in on this fun project!